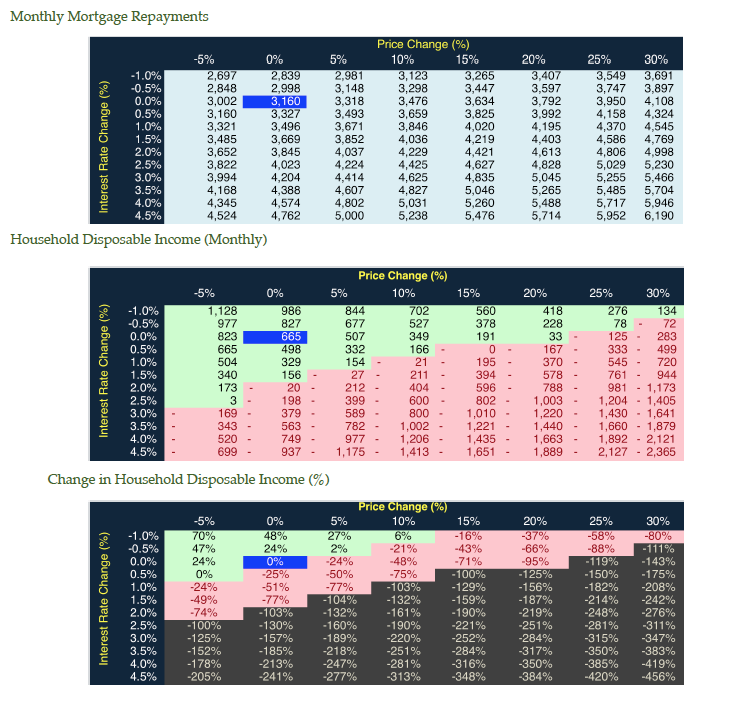 Impact on Household Disposable Income (HDI) with changes to interest rates and price. Note: For purposes of comparison we should treat "Price Change" as the rate of change above Wages Growth. Asset and Debt levels relative to wages over the past 35 years. The coefficient of determination (R-Squared) is at an incredible 0.89. Were we to take these measurements form the interest rate peak in 1989 through to March 2012, the coefficient would reach an astounding 0.978! These levels of debt are between 20% and 37% higher than America had immediately prior to their housing crash in 2008. 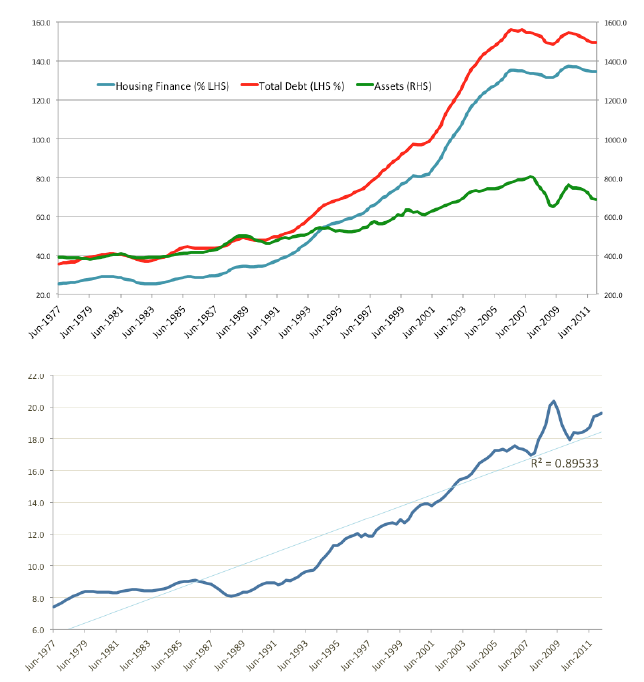 Further analysis of household balance sheets (provided by the RBA) shows that since 1977, for every $1 increase in the price of residential housing approximately $0.78 is borrowed from the bank. Although comparing the price of property against a simplistic measure such as the Price-to-Earnings ratio, it does provide an easy reference point for comparing asset return characteristics. This chart tracks the 10 years to 2012. A P/E of ~50 values it at approximately 2-3 times the value of listed companies.